Earthquake resistance, wind effects on buildings, computer-aided design. We have garnered a huge clientele across the nation and our fame has also spread overseas for our timely accomplishment of the projects. Reliability has enabled us to take in hand some major projects of some of the big players in the market. We have team of structure engineers to design strengthened structure with cost consideration for economy without compromising the quality of work. We respect & give full weight age to the ideas of our valued customers and incorporate all requirements and themes of their dream projects. For prosperity of our valued clients we incorporate Vastu principles, as itâ��s our part of habit. 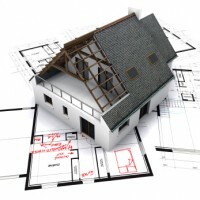 Our services doesnâ��t finish by just handing over the plans to our clients, but we involve with the project to cater them at each and every stage of construction and finishing. At Vastukruti Planning & Designing is Poetry, Execution of project is watering to the growing tree/plant and Service up to satisfaction of customer is our motto.